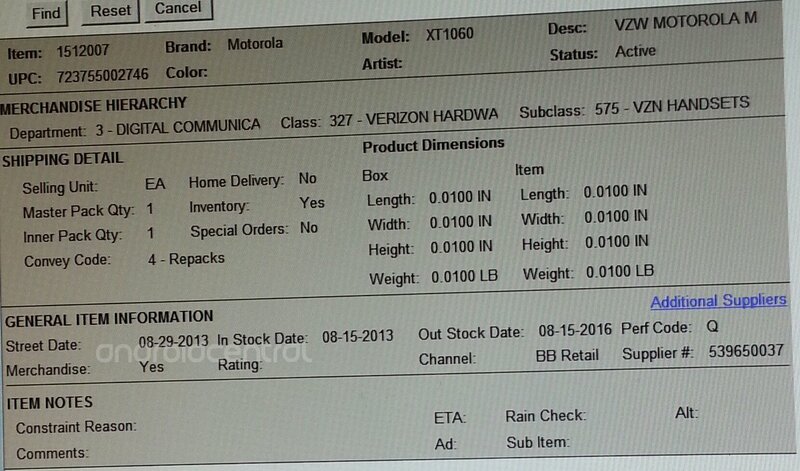 While nothing is official until the folks at Verizon say it's official — and they hate doing that it seems — we've received another inventory screen from Best Buy showing the launch of the Verizon branded Moto X has been set for August 29. Our tipster, who originally had information that the phone was to be sold on August 23, says the phone launch was pushed forward three days. This puts the Moto X, a device we're assuming will have less Verizonware and NASCAR-esque branding than it's DROID counterparts, a full week past the launch date of the DROID Ultra, MAXX, and Mini. Is this significant? We don't know, but Verizon thinks every decision over before they make it. Anyhoo if you're waiting for the Moto X on Big Red, we think you should probably set aside a few dollars for the last week of the month. We don't know how many dollars just yet, but when we know more, you'll be the first folks we tell.